← Barcelona Eats Under 10€! Antoni Gaudí and Barcelona go hand in hand, in fact many often refer to Barcelona as ‘Gaudí’s city!’ If you know the name but aren’t familiar with his works, that will soon change upon your arrival in the city. 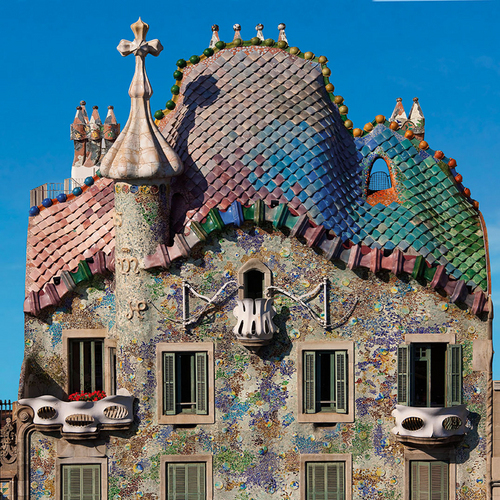 Gaudí’s architectural masterpieces add a splash of colour to the Catalan Capital and are amongst some of the biggest attractions in Barcelona. 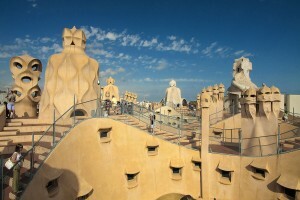 From the Sagrada Família to Casa Batlló, prepare to be amazed! Also referred to as La Pedrera, meaning ‘the stone quarry’, Casa Milà is best known for its quirky roof that is home to a number of surrealistic-sculptured chimneys. Gaudí breaks traditional architecture by not using a single straight line, but allowing the wall to rest on pillars and arches giving the building an intriguing wave effect. 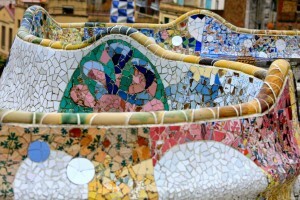 A must see during your time in Barcelona. Easily Gaudí’s most famous project, the Basílica i Temple Expiatori de la Sagrada Família, to give it its full name, has become one of the most popular tourist attractions in the world. Expect intricate detail on its various façades, striking tower mosaics, an incredible pool of colours, over-sized columns and light gleaming through the coloured, stained glass windows. The Sagrada Família is awe-inspiring both on the outside and the inside, and it’s not finished yet! 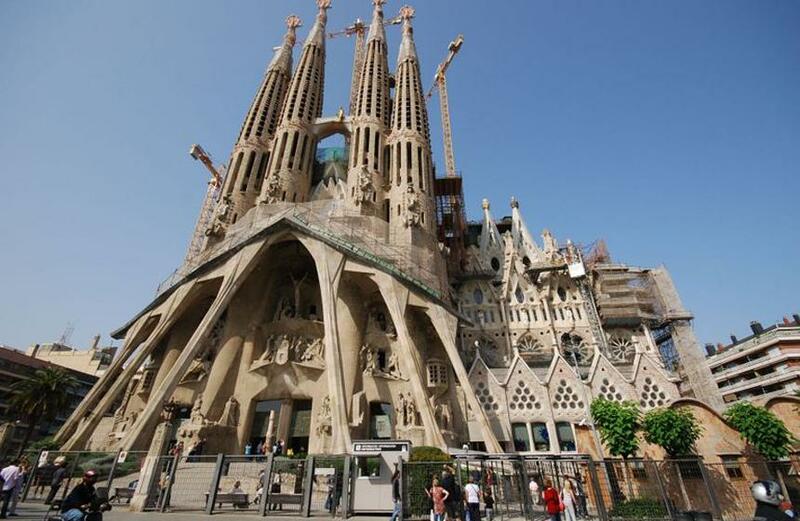 Funded solely by donations and entry fees, the Sagrada Família is expected to be completed no later than 2028, over 100 years after construction first begun! Considered to be one of Gaudí’s most ‘important’ works, Casa Vicens was the first of many masterpieces for the then young architect. 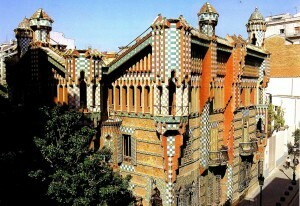 The building is covered in Gaudí’s signature: colourful, tiled mosaics and cast-iron railings. 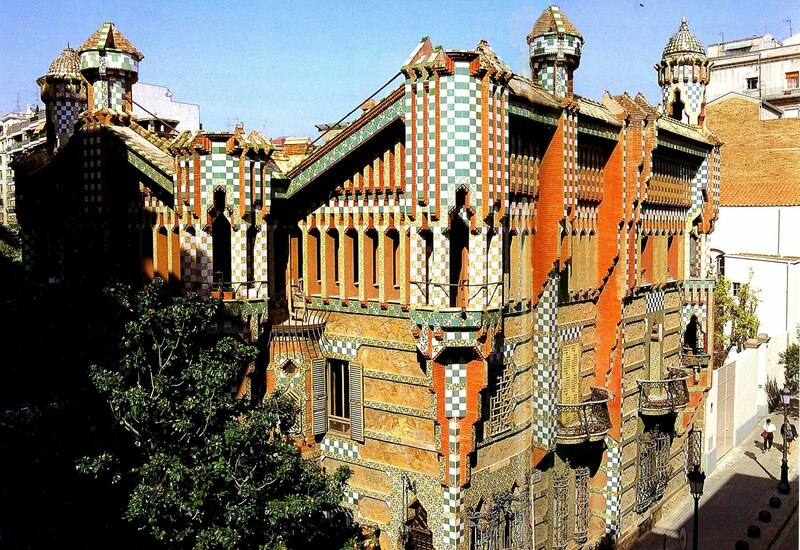 Casa Vicens is a single family, private residence, designed for Manuel Vicens, remains closed to visitors today but should not deter you from admiring its beautiful structure from the outside. Gaudí was asked to redeisgn the Batlló residence and here he set about avoiding straight lines where possible. The multicoloured skeletal building is today a breathtaking piece of modern architecture on Barcelona’s famous street, Passeig de Gràcia. Some of the more awe-inspiring features on this building are the strangely striking columns that are shaped to resemble bones, and the balconies which were designed with iron railings that appear like masks. Gaudí was commissioned by Eusebi Güell to design a residential estate complete with houses and a park. Like most of Gaudí’s works, Park Güell took time to construct later becoming one of his most noteworthy pieces. 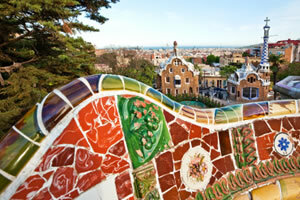 In fact, Park Güell is the most photographed place in Barcelona today! Here you can find splashes of colour everywhere, with winding, mosaic benches designed for comfort, a mosaic dragon and, at the highest point of the park, you will find a stone cross symbolizing Gaudí’s faith in Catholicism. This entry was posted in Home, Places, Tourist Guide and tagged barcelona, barcelona activities, barcelona architecture, barcelona art, barcelona attractions, Barcelona culture, barcelona eixample, barcelona tourist guide, Gaudi, gaudi architecture, museums in Barcelona, sagrada familia, things to do in barcelona. Bookmark the permalink.